"It will go faster if Brian and I help," offers Steven. "Brian?! Who taught you how to use a computer? Your nonexistent father? Haha put that laptop down, monkey." says Barbie. "Steven, can you hook Skipper's hard drive up to the library's computer?" "Sure!" says Steven. 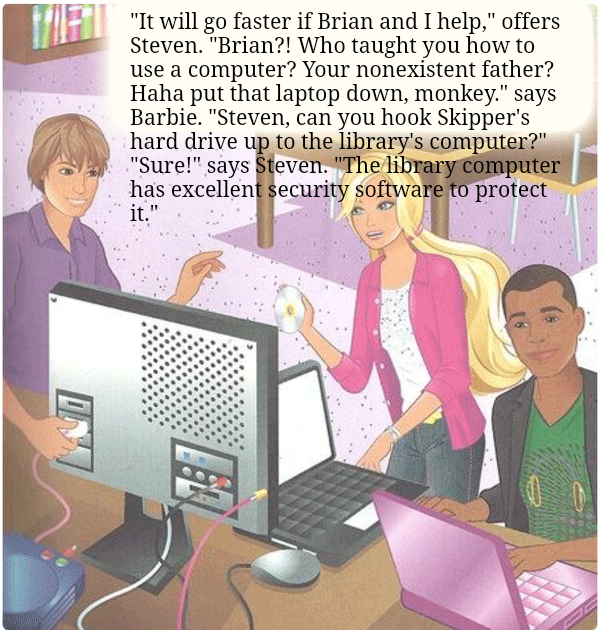 "The library computer has excellent security software to protect it."